The name alone makes this site worth a visit but it also tells the amazing story of the life the aboriginal people of the plains lived for nearly 6000 years. This was a time when vast herds of buffalo roamed the great plains and foothills of Alberta. They were the main source of nourishment over the harsh winters for the aboriginal people. 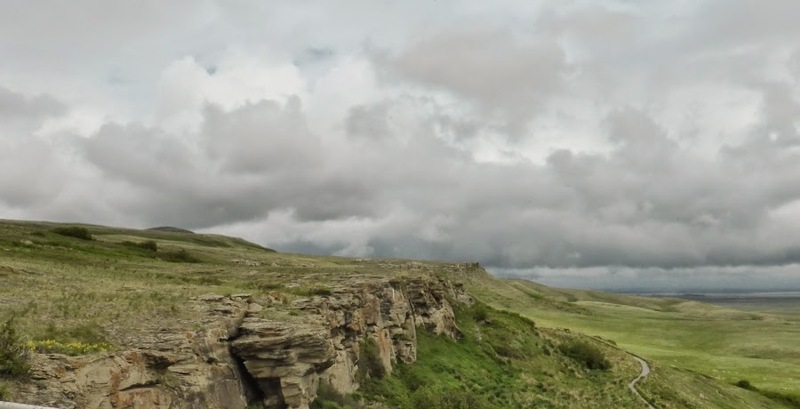 So once each year, in the fall, tribes from all over the west and north came together in this area to slaughter the buffalo they needed by driving them off steep cliffs. Part of the process of herding the buffalo over the cliff is that one person runs in front of the herd, jumping out of the way at the last minute. The story goes that one brave warrior did not get out of the way in time and went over the cliff with the buffalo. He was found later with his head smashed in by the cliffs and buffalo. Thus the name. 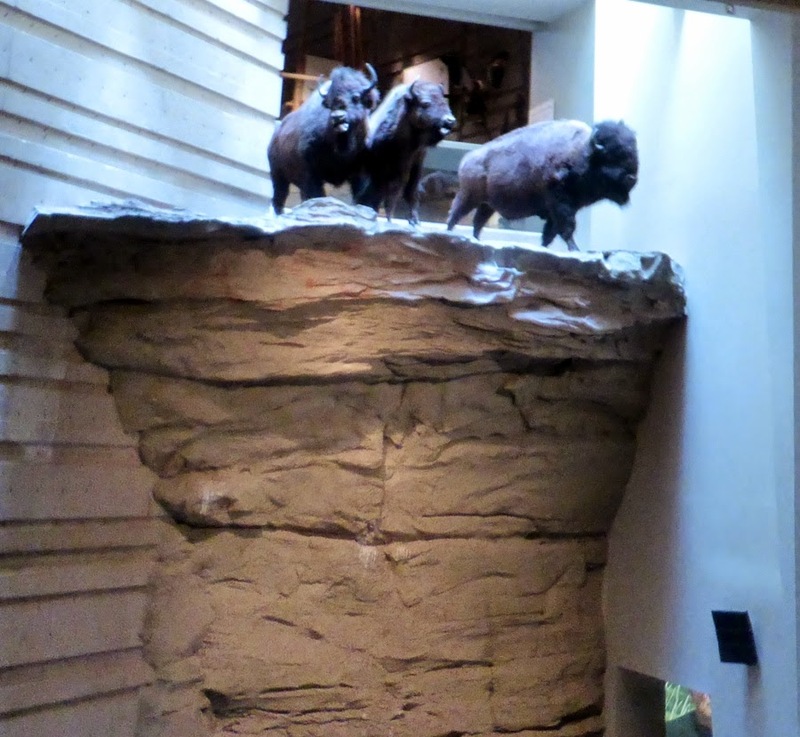 The interpretive site is staffed by native people and is extremely well done. Plan to spend at least a couple of hours here. History buffs could spend all day. The location is easy to reach but remote so plan to eat in the cafeteria or bring a picnic lunch. Start your tour by watching the on site movie telling the story. Then head out to explore the cliffs and imagine the experience. Then return to the interpretive centre to learn the complete story of the Plains People and the life they led until disrupted by European explorers. From there we decided to take the "cowboy trail" back to Okotoks. So off we went but were soon diverted by a sign saying it was 30 kms to Crows Nest Pass. We both knew about the Crows Nest Pass but could not remember why. So we decided to go see what we could learn. And expected to climb to a very high pass through the mountains. But that is not what we found. But what we find find was far more interesting. 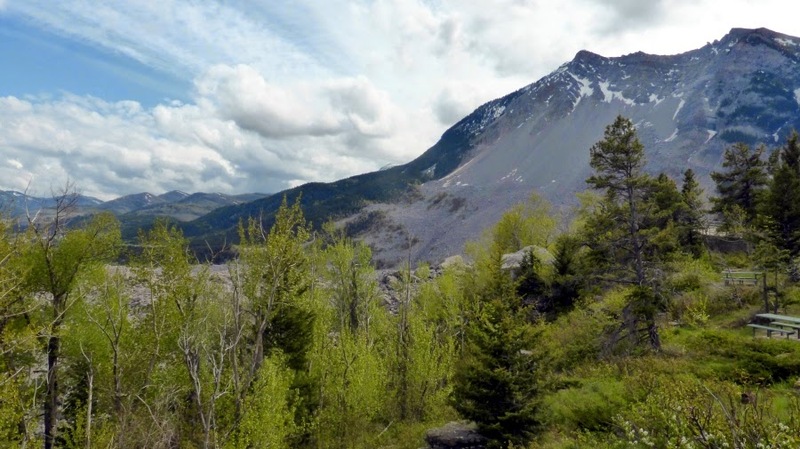 The Frank Slide, which occured in 1903, was Canada's most deadly rock slide. An estimated 90 people were killed. It happened when the side of Turtle Mountain gave away, burying Frank, a town of 600 people at its base. 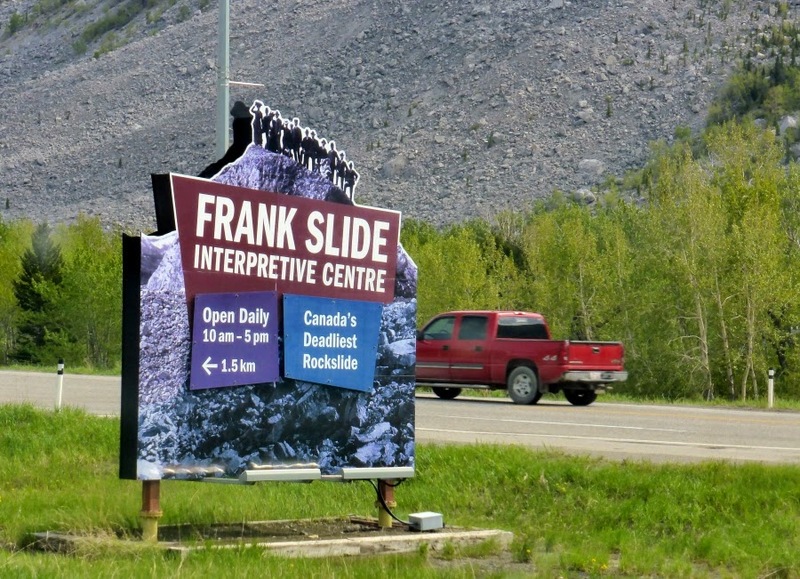 At the interpretive centre you can hike a trail out to the slide area itself but the must do is to view the 30 minute docudrama which recreates the night the slide came down. There is also a video about the history of the Crows Nest Pass and many interactive displays. Another 3 hour stop.